Do you remember the last time you actually read a game review? It used to be the case that praise from professional video game critics was highly sought after, and often proved to be decisive when it came to sales figures. But with the growth of Youtube and, more recently, live streaming, a negative review doesn’t necessarily spell the end of a new title anymore. In fact, where the norm used to involve sending an advanced copy of a new game to publication for review, studios have started to adapt this for the streaming age. “Advanced copy” has evolved into “early access” or “beta test” with keys being handed out in abundance to Twitch streamers. 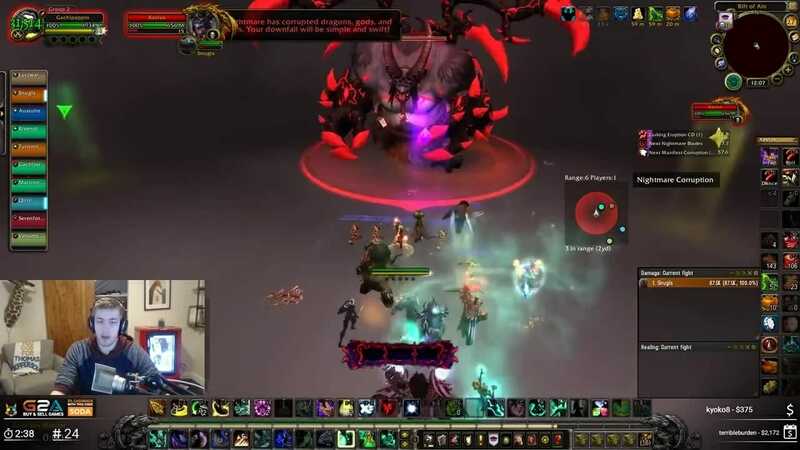 Whether it be the likes of Chance “Sodapoppin” Morris with 20,000+ daily viewers or those lower down on the Twitch food chain, live playthroughs are the name of the game. Instead of popping down to the local Blockbuster to rent the game, or searching online for some random journalist to tell you how to feel, you can instead just watch someone else play the game. And not just any someone, a charismatic, literally professional video game player. If they’re lucky, studios won’t even have to pay for this privilege. While sponsored streams are certainly a thing, simply contacting a popular streamer and giving them several keys to give to friends or viewers can prompt a voluntary playthrough. Of course, there are mutual benefits to this arrangement. Streamers, especially on the lower end of the viewer numbers, can “ride the hype” of a new release, and earn a boost to their viewers, followers, and subscribers. While viewers get a taste of a new release, without having to actually pay for anything. Over the holiday season, Grapeshot Games were given their moment in the Twitch spotlight when their new release, Atlas, was picked up by nearly every major streamer on the platform. What could have been one of the most exciting game releases in recent history, quickly turned sour, as it became very apparent that the game was nowhere near completion, riddled with bugs, and void of content. Twitch giveth, Twitch taketh away. But also, don’t release a broken game, unless you fancy having thousands of potential players have their first interaction with it being their favourite internet celebrity complaining and promptly rage-quitting. Atlas ran pretty much every play in the “indie-dev early-access mmo” playbook. Lack of communication, server rollbacks, broken game mechanics…the lot. But you know what they say. Any publicity is good publicity, and you can bet Atlas sold its fair share of copies from the exposure. That’s not to say it’s necessarily a bad thing. The online seafaring pirate game “Sea of Thieves” has recently enjoyed a surge of popularity over two years after it’s initial release. Despite the fact that the game was panned by most when it first hit shelves (or online shelves). The spike in popularity is thanks in a large part to Jaryd “Summit1g” Lazar, who has been playing the game daily to an audience of 20-30,000. Thought accurate playerbase numbers are not publicly available, reports suggest that the game has surged from two million to five million players in recent months. 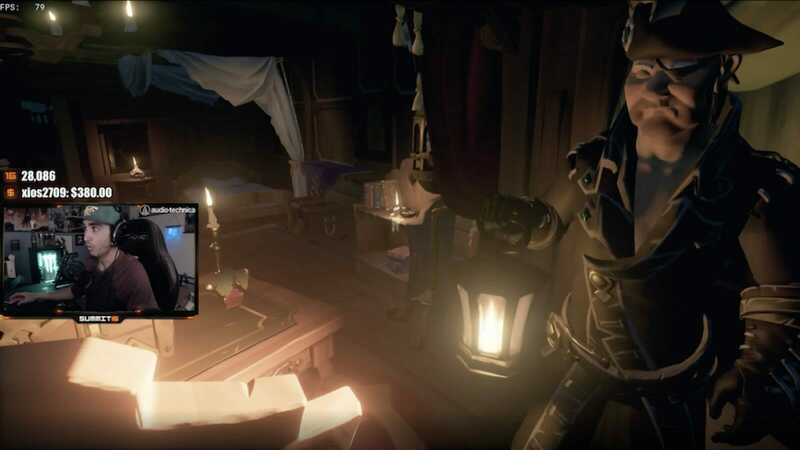 Rare worked hard to make Sea of Thieves a better game, and the streaming community broadcast their hard work to the world. The advent of the Twitch streamer is just another evolution of the Let’s Play Youtuber that even today is still prospering. Developers and Publishers adapted then, and they will adapt now. Thus far, it’s hard to say that anyone has fully taken advantage of this trend, but when they do, we could be looking at the next bestseller.